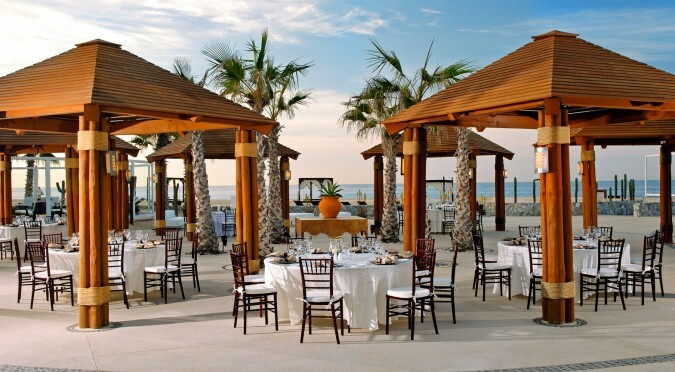 LOS CABOS, Mexico (June 22, 2016) – Pueblo Bonito Pacifica Golf & Spa Resort – the luxury all-inclusive, adults-only hotel – announces a new chapter in their story: The Towers at Pacifica – set to unveil winter 2016. The multi-building expansion comes during a hospitality boom in Los Cabos and will continue attracting guests to the most premium hotel product in the Pueblo Bonito Resorts portfolio. A multi-million-dollar project, The Towers at Pacifica will debut three new structures featuring distinct accommodations, enhanced amenities and first-class personalized services. The Towers at Pacifica will offer unparalleled, relaxed elegance with every in-room detail. From the modern and warm décor, to hand-picked design touches and personalized 24-hour British Butler Institute-certified butler service, The Towers at Pacifica will also provide elevated dining experiences and exclusive access to a new VIP Towers Lounge, all set in an unforgettable luxury oasis just steps away from the beautiful Pacific Ocean. Two new buildings will feature 47 Club Level suites and rooms, which will all include an array of luxe amenities including first-class butler services, custom-stocked mini bars and refreshment areas, portable Beats speakers, luxurious Egyptian-cotton bedding, pillow menu and aromatherapy turndown service. Select accommodations include six pool suites - rooms with private plunge pools for a secluded dip at any time of day – as well as the magnificent Presidential Suite. Boasting the finest ocean views in the entire resort, the majestic Presidential Suite is located on the top floor of The Towers at Pacifica and offers 3,233 sq. ft. of indoor and outdoor luxury living space. This stately suite features two king bedrooms with their own bathrooms, vanity areas and respective private terraces equipped with a fire pit, Jacuzzi and outdoor shower. The suite also has a fully equipped kitchen, spacious living room and dining room that opens up to a grand oceanfront terrace. The Towers at Pacifica’s guest experience will be further enhanced by 24-hour, world-class butler service. The Pueblo Bonito Pacifica butlers view themselves as artists of service, providing extraordinary, customized service to guests to make their experience unforgettable. Trained meticulously by the British Butler Institute – the world’s most exclusive butler and front-of-house training school – Pacifica butlers are equipped to provide ultimate luxury experiences. From personal in-room check-in and check-out, handling on and off-property reservations, to unpacking and packing services, and accompanying guests on city excursions, butlers will be available to exceed any and all guest needs. Butler service begins upon reservation; butlers begin communicating with guests directly following their reservation to understand any special requests or preferences and make arrangements prior to arrival. During their stay, guests can communicate directly with their butler via their mobile phones, offering seamless, convenient service. Finally, the third multi-level building of the expansion will include a new gourmet restaurant along with a bar and outdoor beach lounge on the ground floor; a state-of-the-art fitness center on the second floor; and the Towers Lounge on the third floor, available exclusively to guests of The Towers at Pacifica and accessible via sky bridge. Towers Lounge guests will enjoy a variety of unique culinary experiences rotating daily, and handcrafted cocktails with dramatic ocean views.